Pyrethrum (Tanacetum) are hardy perennials that are frequently grown as hardy annuals in the garden. They vary in height from 10 to 90 cm; this makes them a versatile plant for use in borders or edging. Plants bloom from the middle of spring to summer, and carry flowers reminiscent of daisies; the petals may be red, purple, pink or white. Foliage is often fern-like. Some common names for Pyrethrum (Tanacetum) plant genus members include Painted Daisy, Tansy, and Feverfew. Tanacetum coccineum - Painted Daisies by Hunda. 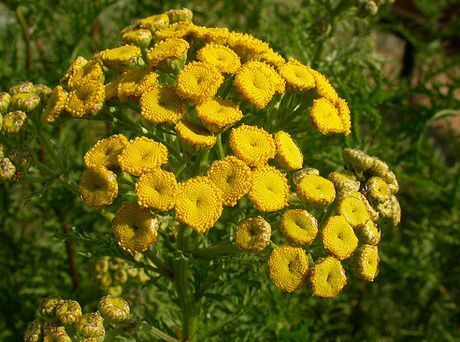 Tanacetum vulgare – Tansy by Matt Lavin; both photographs under creative commons licence. Common Names: Painted Daisy, Painted Lady (Coccineum), Tansy, Feverfew, Costmary, Alecost, Dalmatian Chrysanthemum, Persian Chrysanthemum. Native: Southwest Asia (Pyrethrum), Europe, Asia (Tanacetum). 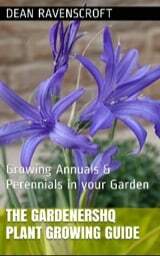 Growing Region: Annuals: zones 1 to 10. Perennials: zones 8 to 10. Flower Details: Purple, red, white, pink, yellow. Yellow eyes. Daisy-like ray and disc florets. Button-like. Clusters. Sow Outside: Cover seed. Beginning of spring or autumn. Spacing 8 to 30 inches (10 to 75 cm). Sow Inside: Germination time: three weeks to two months. Temperature 55°F (13°C). Two months in advance. Transplant outdoors just before the expected last frost or in autumn. Requirements: Full sunlight. Good drainage. Soil pH 6 to 7.5. Average soil. Pinch tips. Once blooming has finished trim lightly and give a feed; this often results in an additional bloom. Propagate: dividing in the spring. Miscellaneous: Pyrethrum has been merged into the Tanacetum genus. Often grown for its insect repellent properties. The seeds of Pyrethrum / Tanacetum plant species such as Painted daisy and Feverfew can be sown out in early autumn or early spring; once sown lightly cover the painted daisy seeds. They like to grow in a sunny part of the garden that has good drainage, and a soil of pH 6 to 7.5. 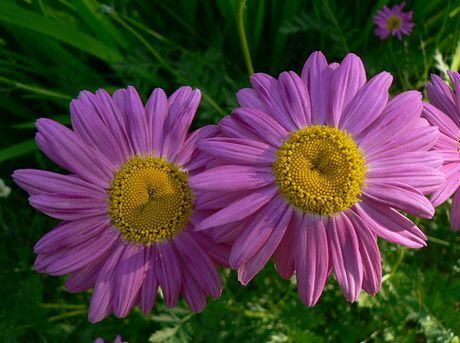 The plants should be spaced from 20 cm (small varieties) to 60 cm (large Pyrethrum / Tanacetum species) apart. If growing indoors first then sow the seeds about two months in advance. The seeds should take about 3 to 9 weeks to germinate at 12 degrees centigrade. They can be transplanted outdoors either in autumn or before the last frost of spring. Once growing pinching back young Painted daisies or Feverfew at the tips will encourage branching. Following the end of flowering cut back the plants lightly and feed them; the plants should then produce a further bloom. If you require more plants then they can be propagated by division of the plants in the spring time.